We are staffed by volunteer craniosacral therapist, clinical herbalist, reflexologist, acupuncturist, health and wellness coach, mindfulness coach, yoga practitioner, zero balancing practitioner and others who are trauma informed and trained and credentialed to practice holistic medicine. We treat people, not diseases! Karen is the Veterans Resiliency Holistic Clinic Coordinator and a holistic health practitioner who integrates sound science, traditional wisdom and intuition in motivating others towards wellness. 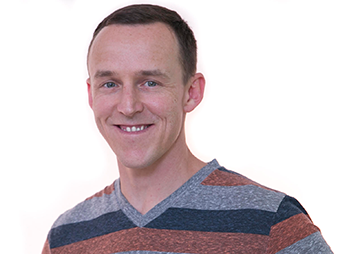 Her passion is assisting clients with releasing symptoms of physical and emotional trauma from the body and restoring nervous system regulation and resilience. Karen is a Clinical Herbalist (RH-AHG) with a Master of Science Degree in Therapeutic Herbalism, Biodynamic Craniosacral Therapist (BCST), Certified Health Coach and has a Master of Science Degree in Public Health (MPH). She integrates all of these skills to assist her clients in the healing process. Karen's training also includes Somatic Experiencing through the Somatic Experiencing Trauma Institute. Her training and personal experience with PTSD brings a combination that helps those experiencing the dis-ease of trauma find health and balance. Denise Cusack is an herbalist, aromatherapist, writer and herb grower. Denise completed her master herbalist studies via Jessie Hawkins School of Vintage Remedies, aromatherapy certification at Aromahead Institute, her hydrosols certification with Cathy Skipper at The School of Aromatic Studies, and has hundreds of hours of continuing education credits in herbalism and holistic health from universities and well-respected herbal educators/schools. Denise has also completed A Flower's Power course in using flower essences at Floracopeia under Sara Crow. She is currently working with an AHG Mentor to gain the R.H. designation through the American Herbalists Guild as a Clinical Herbalist. Denise is always learning, and has over 20 years of herbalism, holistic nutrition, and aromatherapy studies. In her spare time she is often working in one of her gardens, making and measuring in her herbal studio, distilling her own hydrosols or volunteering as Executive Director of Herbalists Without Borders. Denise is a regular contributor to aromatherapy and herbal publications and is the owner of Wholly Rooted, an herbal health consulting and product business. I have practiced yoga more than 20 years and taught 10 years in various settings, including the past 7 years at John Tyler Community College. I received my basic Hatha (physical postures) training from Yogaville in Buckingham, VA and advanced Anusara (alignment) from Golden Heart Yoga in Annapolis, MD. My academic background is in Occupational Therapy, Education, Publications Design and Therapeutic Recreation respectively from Virginia Commonwealth University, Maryland Institute School for the Arts and Morgan State University. With lots of twists on these themes, 35 years of my prior work experience was as an Activity Therapist and an Administrator with the Departments of Health & Mental Hygiene and Natural Resources (land preservation) for the State of Maryland. I have experienced and enthusiastically support our healing modalities to improve and maintain good health. Talia was initially drawn to explore reflexology because of foot pain. In 1995 she began studying and practicing foot and hand reflexology with the International Institute of Reflexology. She was certified in 2006 and practices IIR’s Ingham Method and Reiki. 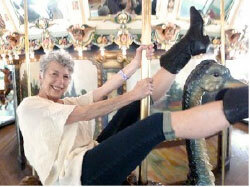 She is also a member of the International Council of Reflexologists. In 2005 Talia established her business Relaxation by the Foot. She does reflexology by appointment at her office on Richmond’s north side. She also teaches Healthy-Steps therapeutic movement and Line Dancing for Fitness. Talia has been practicing the Ingham Method of foot and hand reflexology since 1995, was certified by the International Institute of Reflexology and is also a member of the International Council of Reflexologists. 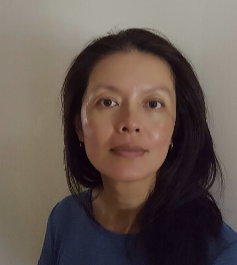 Yumei Silva is an Aromatherapy and Herbal practitioner, owner of Puressential Aromatherapy LLC, located in Henrico Virginia. In her practice, she integrates Aromatherapy and Herbalism to guide her clients towards better health and healthy living. Yumei received her Aromatherapy certification from Andrea Butje at Aromahead Institute of Essential Oil Studies. She obtained her French Aromatherapy (internal use of essential oils) certification from Jade Shutes and Cathy Skipper through The School of Aromatic Studies and her Aromatherapy Teacher Training Level 1 certification from Jade Shutes and Amy Galper through N.Y. Institute of Aromatherapy. Yumei is a professional member of NAHA. Yumei is a passionate educator and continues to promote essential oils safety and education through her various workshops and volunteers her time teaching essential oils in various clinics. In her free time, you can find her taking an Aromatherapy course and read a book to deepen her relationship with essential oils. ​She grew up with herbs in China, and has been studying TCM and Western Herbalism and is currently enrolled in Professional Herbalist program - East West school of Planetary Herbology. In her free time, she attends live lectures of local holistic practitioners, webinars by herbalist extraordinaire Matthew Wood and reads a lot of books on herbs to expand her herbal knowledge. ​Ann Furniss has been a practicing licensed acupuncturist in Richmond since 2001. She also has spent more than a decade working as an RN primarily in emergency medicine. This background affords her an unusual understanding of the strengths and limitations of both Eastern and Western medicine. She understands that our illness and healing as individuals and of the environment and society as a whole are mutually interdependent. Do you practice one of the modalities we offer, or do you provide a service that you think would be a good fit with us? Are you interested in volunteering your time and services with the Veterans Resiliency Holistic Clinic? Contact Karen today. The VRHC through Herbalists without Borders promotes and provides natural and holistic approaches to relieving the symptoms of trauma and PTSD for all, regardless of ability to pay. 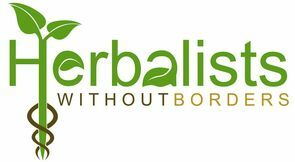 ​Herbalists Without Borders organizes more than 15 unique sustainable, herbal, health & wellness projects. The VRHC is a project under the nonprofit organization Herbalists Without Borders. HWB is a 501c3 nonprofit. 100% of the donations to the VRHC go to this project. ​Your donations are tax-deductible to the full extent of the law.